There are many benefits to having DVR cameras installed over having traditional cameras. Traditional cameras use tapes to store footage. DVR cameras use a DVR system, so a lot more footage can be recorded without having to change tapes. Another benefit to using a DVR system is the fact that with DVR you can easily process feeds from more than one camera. With a traditional system the only way this can be done is to have a separate recorder, but a DVR camera system can show feeds from multiple locations. Lastly, another great benefit of DVR cameras is that they are more secure than traditional systems. Passwords can be set on your DVR so that footage can only be accessed by people that know the password, making it much more difficult for unauthorized users to view footage. ACF can install a DVR camera system at your place of business. We use the latest camera technology and offer a wide variety of different cameras to choose from. We'll talk with you to help you figure out the best system for your business. 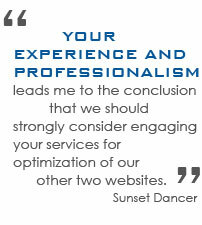 We take pride in our excellent customer service and personal approach to effective business solutions. Let us show you how we are different. Call 813.235.6357 to learn more about the DVR cameras we offer. We Offer More than Just DVR Cameras! Along with DVR camera systems, we offer a wide variety of IT services. We can help you with anything computer related! We also offer remote support that can save you time and money! Most computer problems can be solved through remote support, which is quicker and costs less money than having a technician come to your office. ACF offers a wide variety of IT services as well as installation and setup of DVR cameras. To learn more about what we can do to help your business, please contact us.